A year ago this month I lost my mother to Pancreatic Cancer. It was kind of her to die during November‚ as this month is Pancreatic Cancer Awareness month in the US. The NY Flyers and Project Purple will be hosting the second annual Laurie Harris Hope and Dreams 5k on Roosevelt Island on November 2’‚ 2014 in honor of my mother. I hope to see a sea of purple running (and walking) that day as the proceeds go to research battling the disease. If you cant be there‚ check out some of these shops. Purple is the ribbon color for Pancreatic Cancer‚ the 4th leading cause of cancer deaths in the US. Wear it this November and spread awareness of this disease. Not all of these shops donate to pancreatic cancer charities‚ please read the descriptions. New York can say they have the big game all they like but this year’s Superbowl will be kicking off in East Rutherford‚ New Jersey. Confusing? I say! Growing up in New York near Shea Stadium‚ it was easy to choose a home team‚ not that I cared a lick about sports in general. Then I married a Jersey boy and moved to his home turf. Yes‚ New Jersey has a hockey team. New Jersey does not have a baseball team. New Jersey no longer has a basketball team. New Jersey does not have a football team. But wait‚ how is it then that this internationally televised biggest football game of the year will be live from the garden state? Well‚ the stadium is here; 2 out of the 3 New York teams play in New Jersey. So who do Jersey fans root for since there is no “home team”? Well‚ my husband is a Miami Dolphins fan. My Brother in Law cheers for the St Louis Rams. Depending on north or south Jersey‚ most people root for the Eagles‚ Giants or Jets. None of these teams will be playing in New Jersey this February. What will we say while watching the big game? Yay Football! I just love the commercials. Prepare to cheer by knitting one of my fan favorite football themed patterns. You can find them all (including links to the FREE ones) on ravelry or etsy. The golf fans are coming! And they will no longer be silenced! 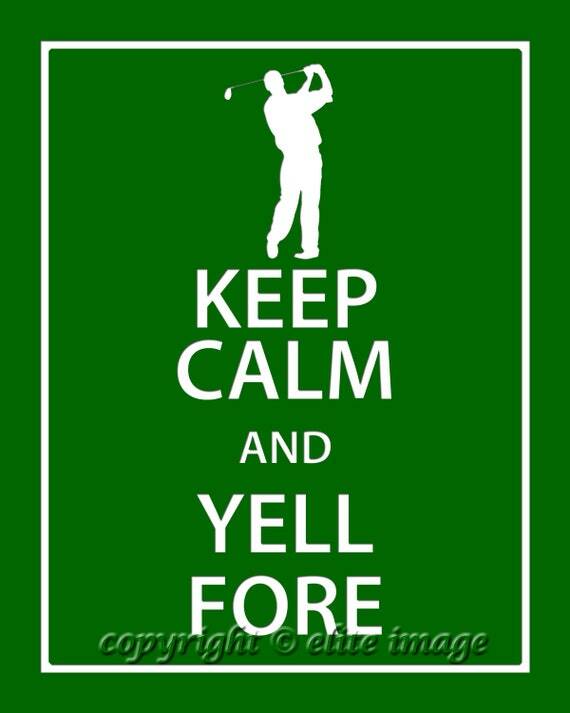 There has been a long standing tradition of quiet in the game of golf. It is ripe to be overthrown by the followers of none other then the king of all media‚ Howard Stern. At the 201’ PGA championships this past weekend‚ spectators were heard shouting “baba booey” at Ian Poulter. The gentleman golfer took to twitter‚ complaining that they would never stand for this at Augusta. Not being a fan of Stern himself‚ he misspelled the famous outcry of his followers‚ and was corrected by the man himself. The exchange goes to show‚ all press is good press. This exchange May bring a whole new television audience to the game. Lets see if the players can handle it! How do you feel about spectator participation at golf tournaments? Why Do I Need Golf Club Covers? It would be in my best interest to tell them‚ “Of course you need them!” But what purpose do they serve? Well I set out to find an exact answer to that question. I found an article from Golfsmith‚ a leading golf retail company‚ detailing what to look for in a golf head cover and why you should use them. Protection – Golf is an expensive sport. You spent a lot of money on those clubs in your bag. Protect that investment! From fancy custom leather sleeves to simple socks‚ they all stop your clubs from bumping against each other and other things when they are not in use. It is not so much the heads‚ but the shafts that can be effected by the damage of jostling. Style – Yes‚ some golf clubs come with their very own head cover. Why blend in with the crowd? Show off your individuality! You can even change your club covers with the seasons like a great new pair of shoes. What kind of covers do you have in your bag? Are you a fan of form or function? And be sure to check out all the golf club cover designs available in my shop‚ or request your very own custom head covers.